feature eco-friendly, durable, colorful, etc shape rectangle or your request talents branding offers one-stop integrated brand &ndash; management. it might be a subtler way to market the product but hangtag communicates the information of the merchandise distinctly. descriptions item printed paper label material polyester yarns,cotton yarns or customized dimension according to the customized design or request. folding center fold, end fold, straight cut &customized finishing die cut, matt/gloss laminating, hot gold/silver stamping, uv, perforating, iron-on. For example, through a care label, you know how the clothes should be washed, dried and ironed. As the screen rebounds away from the substrate the ink remains on the substrate. One color is printed at a time, so several screens can be used to produce a multicoloured image or design. 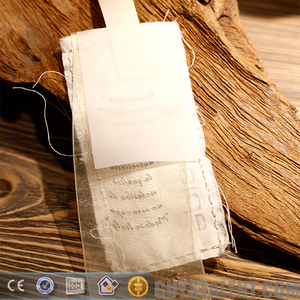 custom tpu sewing tags clothes label Detailed Images Product Uses Related Products 1. Which products are you specialized in We are a professional garments label manufacture, specialize in this field more than 8 years and have our own factory. such as labels, hangtags, stickers,embroidery patch,leather label ,ribbon etc 2. How about the sample time The samples time will be 3-5 days after confirm the design. 3.can you provided free samples Yes ,we can offer free samples for woven labels ,wash care labels and badges 4. How about the production time 3-5days for sample time. package paper,ploy bag,carton sample free samples if freight cost provided. and we understand the impact of great packing solutions. Specification: Off white printing cotton label for baby clothing,sewing on neck cotton label: For printing label,we use eco-friendly ink,no harm to human body. Packing detail: 500pcs/opp bag,5000pcs/paper CTN Delivery time is 5-7days Sample &Payment item: Sample is free,samples time is 3-5days 30%deposit of total amount,the balance is paid before delivery. We accept Paypal account,West Union,Moneygram,T/T We sincerely welcome your enquiries, look forward to establishing cooperative relationships with you and hope to be your reliable supplier of garment accessories in the near future . call us today and let our label specialists guide you step-by-step in receiving a superior quality woven or printed fabric label. with required certificate and experience after-sales service,there are less clearance issue in the shipment we have arranged. kindly inform us your idea and your products style,or what style do you want to make,then we can susggest or send you different material for you to compare or confirm. with so strong strength, i believe you don't need to worry about the quality and daily output. or if you have any special requirement, pl ease advise in advance in order to follow your packing instruction . We can provide all kinds of woven label,neck label, woven brand label, woven size label ,woven wash care label ,woven badges,the labels widely used in clothes ,caps ,bags ,shoes ,socks etc . 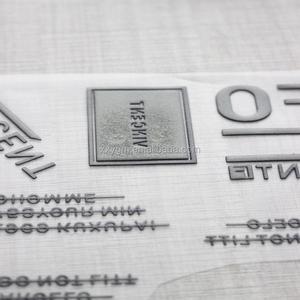 The woven badges can show you the brand name ,size and wash instruction . 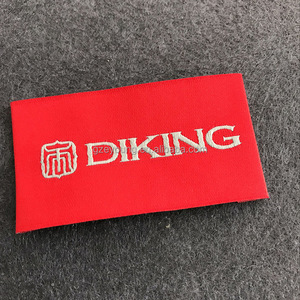 we can make all kinds of quality according to customer design , such as High density woven label , damask woven label,satin woven label,soft woven label, the labels can be end folded ,center folded and the edge with embroidery or ultrasonic cut and laser cut ,over hundreds of colors available. wash care labels like brand&rsquo;s eyes, to reflect the brand's personality, gives the viewer a sense of pleasure, satisfaction, sense of identity. based on our rich experience, and high sense of responsibility, our customers always get the best wash care labels , better communication and expressive for their brand. guangzhou printer full color printing custom clothing label product pictures product main label, size label, country original label, content label, care/wash label and so on. fold type end fold, center fold, straight cut, miter fold, loop fold, as your request. 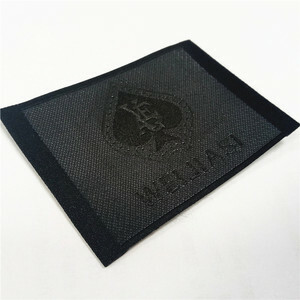 customize competitive price iron on clothing woven label patches item woven label, fabric label,garment label, embroidery label,care label,main label,neck label,etc. guanghzhou meijei label&printing co.,ltd is professional manufacturer which specialized in woven label, printed label, embroidery patch,hang tag, paper bag and sticker. 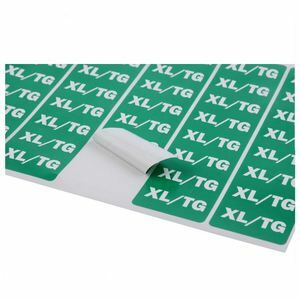 Heat transfer labels can be used for garment, coat, jeans, jacket, T-shirt, underwear, sportswear, swimsuits, curtains, shoes, handbags, suitcases, sleeping bags and so on. It can be easily transferred onto other products, with no feeling. 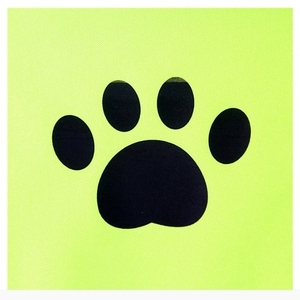 They have good features on bright and vivid colors, eco-friendly and washable. If you need anything else , pls contact us without any hesitation, all day and night we can always reply you within 2 hours ! 1. What&rsquo;s the MOQ about your custom labels9 For custom woven labels, our MOQ is 500 pcs each design each color. 2. What the payment method did you accept9 For small order, we accept Paypal, Western Union, Escrow. 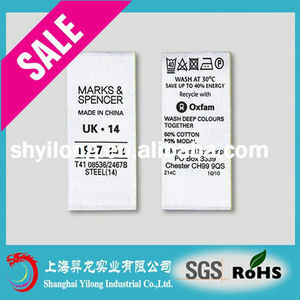 Alibaba.com offers 29,375 clothing label printing service products. About 16% of these are men's t-shirts, 1% are paper & paperboard printing, and 1% are card printing. A wide variety of clothing label printing service options are available to you, such as free samples, paid samples. 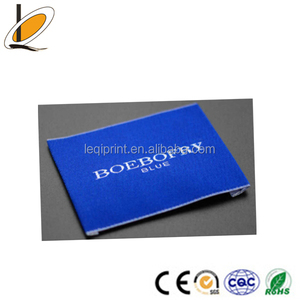 There are 29,314 clothing label printing service suppliers, mainly located in Asia. The top supplying countries are China (Mainland), Pakistan, and India, which supply 92%, 5%, and 1% of clothing label printing service respectively. Clothing label printing service products are most popular in North America, Western Europe, and South America. You can ensure product safety by selecting from certified suppliers, including 11,199 with Other, 2,328 with ISO9001, and 671 with ISO14001 certification.